Your First Look at the adidas YEEZY BOOST 350 V2 "Static"
The clear panel trend hits the YEEZY. Following a first look at the adidas YEEZY BOOST 700 V2 “Static,” @yeezymafia has provided another peek at the forthcoming drop. 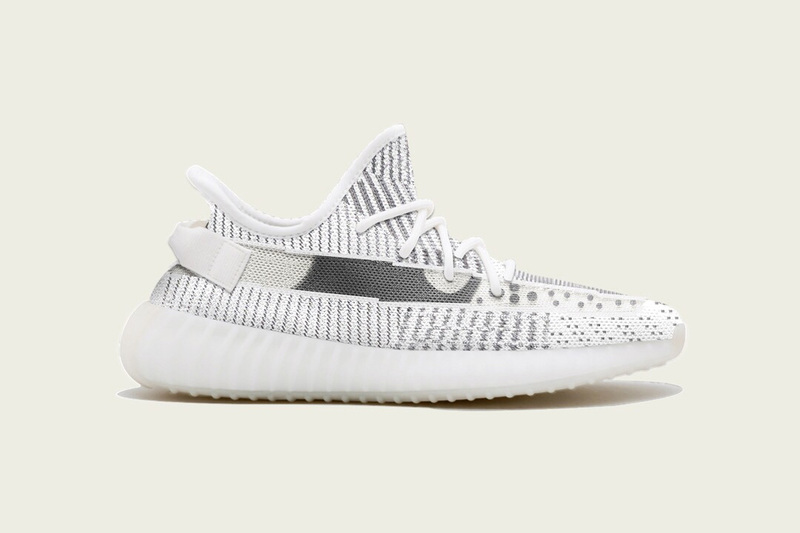 Previously teased by Kim Kardashian, we get a fresh profile image at the 350 V2 with the all-new clear stripe along the laterla. The Primeknit upper is dominated in white and shares light grey striped detailing throughout. Notice how the model’s signature side stripe now lacks the expected “SPLY-350” stamp for the first time ever, breathing new life into a rather familiar silhouette. According to Yeezy Mafia these are set to arrive sometime this December. Take a look at the new image above and let us know how this edition compares to previous adidas YEEZY BOOST 350 V2 drops. Kanye West fans can also read up on YEEZY reportedly receiving a $1.5 Billion USD validation. Entitled “Rodney Mullen on Bath Salts” by ‘Jenkem’ magazine. Because of a 30% sales cut the platform will take. At the Aïshti Foundation in Lebanon.